I was very much intrigued by the mystery of it all, although I have to admit, I’m not very adventurous with my food. I do love meeting people though, and enjoy new experiences, so I excitedly booked a slot for the next guerilla dinner which was scheduled for November 29. Tamang-tama, the next day was a holiday, so it was okay to have a late night :P.
The contact person of Pinoy Eats World (the group that stages these guerilla dinners) is Marfee Dizon. I sent her an email conveying my interest, and she quickly replied with a confirmation of our slots, payment details, and the specifics of our meeting place and time. 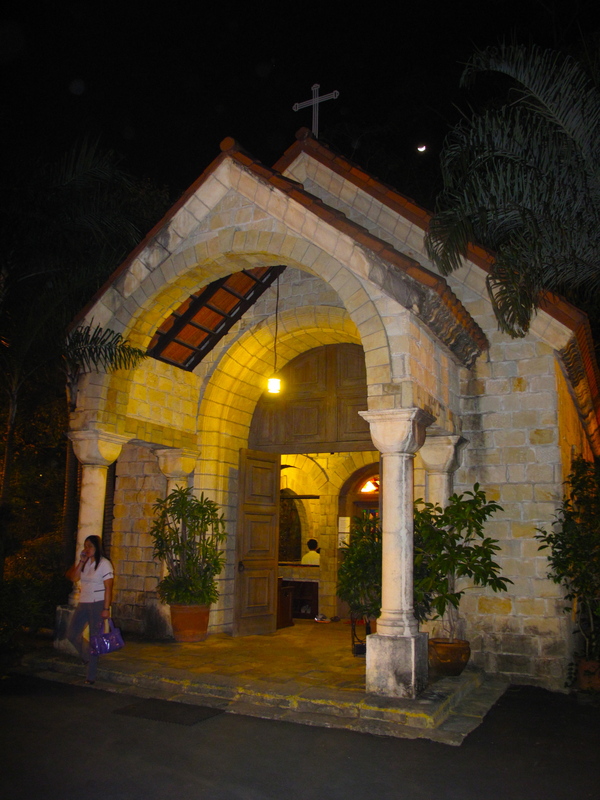 At precisely 630pm, the H and I arrived at the Blessed Sacrament of Sanctuario de San Antonio in Forbes Park, and joined a group of 20 other males and females that were already gathered there. Some of them were first-timers or PEW “virgins” like us, others had already done it many times over, but were still as “in the dark” as we were about what the night had in store for us. 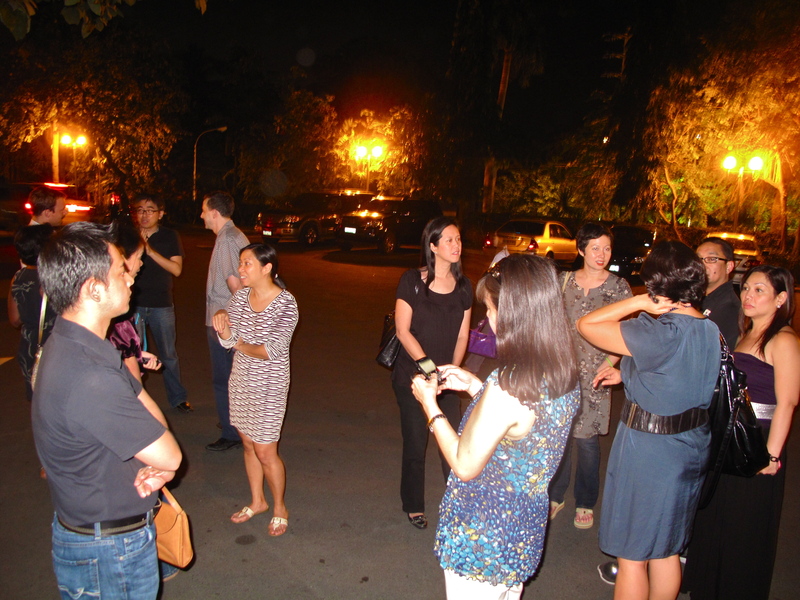 Once the group was complete, we were further instructed to follow a lead car, that directed us to a home in nearby Dasmarinas Village. During the short drive, I could feel my anticipation mounting, and my stomach starting to growl. Haha! To prepare for this experience, the H and I decided we would eat a small lunch to make room in our tummies for the multi-course dinner that we were about to partake. We were definitely ready for the gorge-fest–kainan na! To give the guests a little hint about the experience that awaits them, PEW usually gives their dinners a theme or title. Tonight’s dinner was called “Eat.Sing.Dream”. No need to guess why “Eat”, but “Sing” and “Dream” got me thinking. My guess for the “Sing” part was that it was going to be a night of karaoke. For “Dream”, I thought this had to do with an outreach type of thing since Marfee had mentioned in her email that part of the evening’s proceeds would be donated to the Pangarap Foundation.